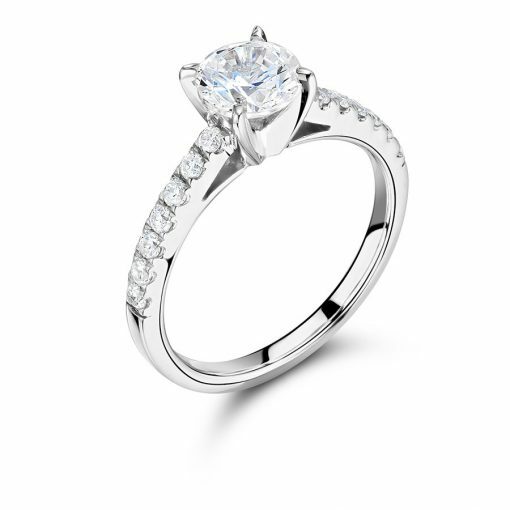 Looking for some engagement ring design inspiration? Choosing a piece of jewellery that you will have for a lifetime can no doubt, be an extremely daunting process. In such times of indecision, it is always helpful to turn to those with previous experience to gain insight, along with a healthy dose of #ringinspo. We have rounded up some of our favourite diamond and gemstone celebrity engagement rings throughout the years. If not to provide you with some inspiration towards your own piece, we hope the likes of Rosie Huntington Whitley’s round-cut vintage diamond (dating back to the 20th century), or Victoria Beckham’s plethora of diamond and gemstone sparklers make for some- in carat terms- not so light, but nonetheless very enjoyable reading! First up is the stunning cushion cut diamond engagement ring presented by businessman Adi Ezra to supermodel Bar Rafaeli in 2015. The magnificent solitaire ring, designed by renowned jewellery designer Lorraine Schwartz is made up of an estimated 5 carats, with its fabulously thin 18 ct yellow gold band giving the illusion of an even bigger diamond! Set in a North, South, East and West compass setting, this round-cut brilliant diamond platinum solitaire engagement ring given to Huntington-Whiteley by fiancé Jason Statham, is undoubtedly one of our favourite engagement rings seen in the limelight over the past five years. Beginning in the centre, the 5-carat flawless diamond (intended to reflect the stunning supermodel) is cradled in a double claw setting with 5 or 6 beautiful melée round diamonds running along the shoulders of the ring. Designed by Neil Lane, the ring was reported to cost in the realm of €350,000. Although we adore Rosie’s ring, a flawless diamond such as her stunning 5 carat cushion-cut diamond is very rare and very expensive and could be substituted with a diamond of clarity between VVS2 and SI2, which appear the same to the naked eye but carry very different price tags! 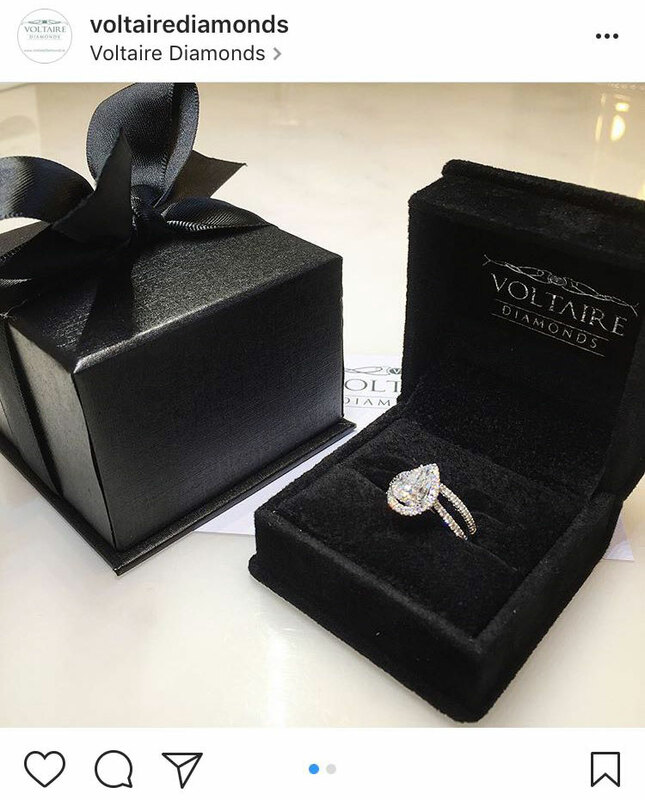 The setting for this diamond would look incredible for a one-carat diamond, like the two stunning Voltaire Diamonds styles available below! From the ‘humble’ beginnings of her original 3- carat marquise cut diamond engagement ring, presented by then-fiancé David, Victoria; the second half of the Beckham power couple has seen an estimated 13 engagement ring upgrades throughout her 19-year marriage to David! Keep scrolling to see some of our favourite sparklers adorned by the singer, turned fashion-designer, turned business-woman/overall powerhouse! When Pippa Middleton débuted her stunning asscher cut diamond halo in 2016, comparisons were very quickly drawn against that of Kate Middleton’s royal sapphire. Famously presented to and worn by Princess Diana of Wales. Pippa’s incredible central diamond is made up of an estimated 4-carat diamonds, with a surrounding set of flawless diamonds. Worth an impressive €250,000, the stunning ring was designed and crafted by London Jeweller Robinson Pelham. 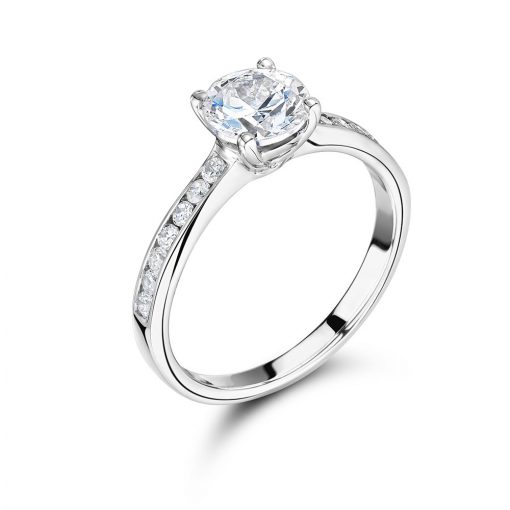 Looking for a ring to rival that of a princess? 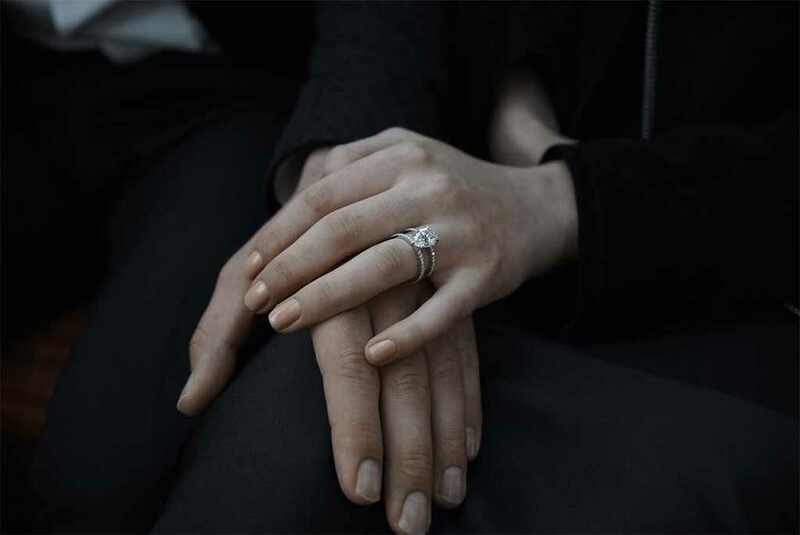 Sophie Turner and Joe Jonas announced their engagement in October of this year, to millions of unsuspecting fans, who were eager to discover the ellusive details of the incredible pear cut diamond sparkler. We estimate the ring to be worth upwards of €50,000, with the centre stone appearing to be made up of at least 2.5-3 carats. See our version of the gorgeous double banded ring set below! This entry was posted in Celebrities and tagged Bar Rafaeli, Pippa Middleton, Rosie Huntington - Whiteley, Sophie Turner, Victoria Beckham.